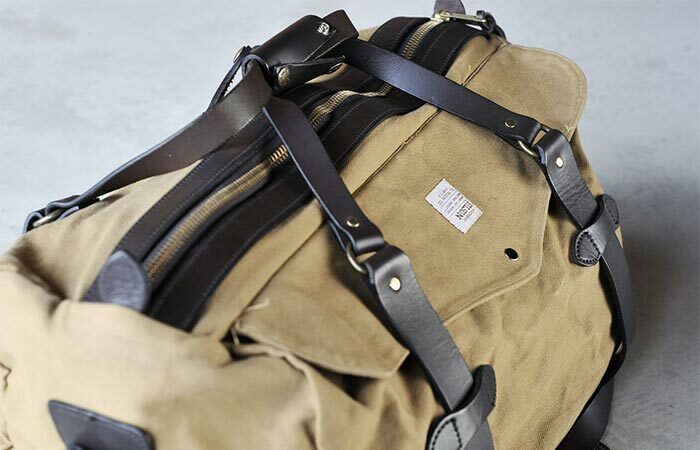 We know Filson for creating high-quality products, whether it’s clothes, boots or bags. They began manufacturing more than 100 years ago and up until today, they continually deliver top quality. This time, we’re focusing on carry options for your next adventure – the Filson Duffel Bags. No matter if you’re traveling or using them as an everyday carry, duffel bags are very convenient. The Small Duffel is perfect for all weather conditions. Why? Well, it’s rain and abrasion-resistant and features a rustproof brass zipper. This bag uses rugged twill in combination with saddle-grade bridle leather handles. This way, it will last for many years to come. The combination of materials also contributes to its casual street look. Filson’s Small Duffel is very practical, portable as well as rain and abrasion resistant. It’s easy to clean it and comes in tan and navy. Another thing you should know about the Small Duffel is that it features storm flap for extra security. It has two interior pockets for organizing your accessories. As for the portability, this duffel has an adjustable, as well as a removable leather carrying strap. It measures 18 W x 10 H x 11 D inches and you can get in tan and navy. In order to clean it, simply wipe or brush it. 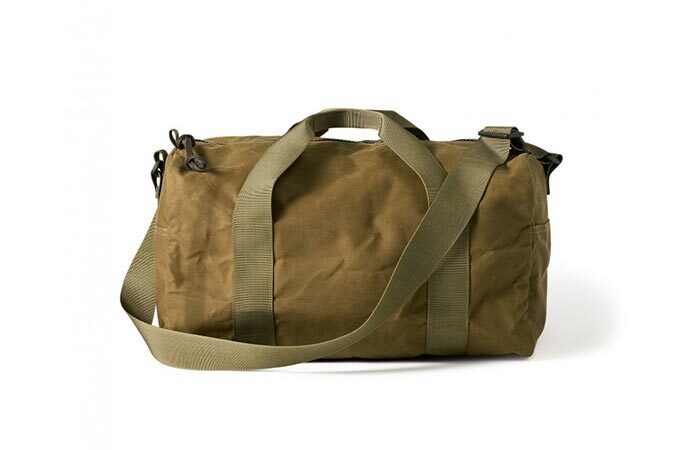 Filson Tin Cloth Duffel Bag is simple-looking, rugged, protective and fully lined with nylon. Comes in tan and black. 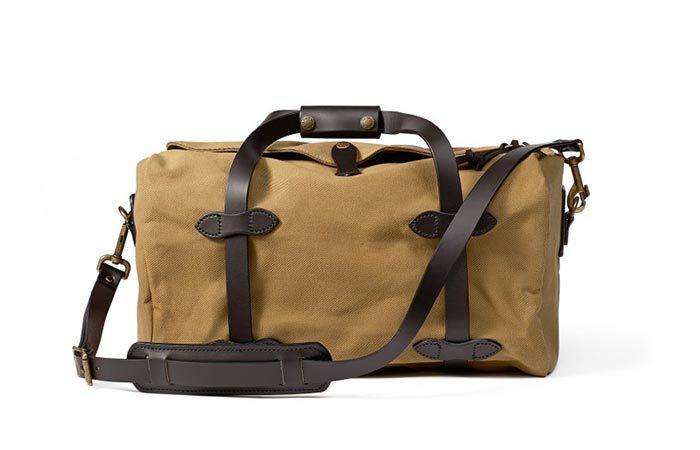 There’s one more Filson bag we want to mention- Tin Cloth Duffel Bag. It’s simple, timeless and rugged. This one features the same fabric and zipper that are super protective from weather elements. It’s fully lined with nylon. The handles and the shoulder strap are a bit different and made of fabric. Also, with 24″ W x 13″ H x 11″ D, it’s a bit bigger than the previous one we talked about. Available in tan and black.